The Effexor injury case attorneys at the Drug Law Center have successfully resolved many antidepressant lawsuits and compensation claims after our clients suffered mild to severe injuries. 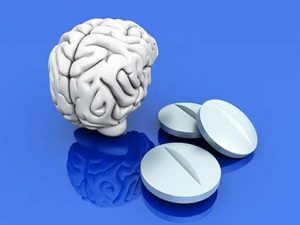 The popular anti-depressant medication Effexor (venlafaxine HCI), manufactured, marketed, and promoted by pharmaceutical giant Pfizer, Inc. has generated more than $3 billion in sales annually worldwide. The medication is classified as an SSNRI (selective serotonin and norepinephrine uptake inhibitor). Both the brand-name Effexor and its generic form venlafaxine HCI effects specific chemicals in the brain that might be unbalanced and individuals suffering from depression. Almost since it was first introduced in the medical marketplace, doctors have prescribed Effexor to treat panic disorder, anxiety, and major depressive disorder. Almost since its initial launch, Effexor (venlafaxine HCI) has been better at treating depression compared to the competition. However, it also likely has greater side effect incident rates were many patients experience withdrawal symptoms. Wyeth Pharmaceuticals scientist first synthesized venlafaxine HCI in the early 1980s. It was soon discovered to be an effective treatment of depression. In 1994, the company promoted the brand-name Effexor and the generic form venlafaxine HCI after approval from the Food and Drug Administration (FDA). By 1997, the company sold Effexor ER (the extended-release formulation) after approval by the FDA. It was prescribed as a single dose taking each day, which produced slightly lower nausea rates, especially when the therapy was just beginning. Many patients experience withdrawal syndrome even after missing just one dose. This is thought to occur because venlafaxine HCI has a short half-life. Many patients experience severe withdrawal symptoms when they stop taking Effexor (venlafaxine HCI). The most common symptoms include irritability, vomiting, nausea, nightmares, paresthesia (a tingling, prickly sensation on the skin), headaches, and feeling dizzy. Many of these withdrawal symptoms occur just hours after reducing or stopping the usual dose of Elektra plus. Because of that, drivers and those operating machines are urged to stop that activity or adhere to a strict drug routine that can minimize the potential of experiencing withdrawal symptoms. Like all other medications and over-the-counter remedies, Effexor has serious side effects that should be considered before, during and after taking the drug. However, the many side effects caused by Effexor (venlafaxine HCI) often do not require medical attention. This is because the body normally adjusts to the medication quickly and the side effects can go away over time. However, some significant major side effects require immediate medical attention. Treating physicians should never prescribe Effexor (venlafaxine HCI) to adolescents or children because it increases suicidal ideation (thinking about committing suicide) or self-harm. Effexor is known to increase eye pressure which can be extremely harmful to patients with glaucoma. Taking Effexor (venlafaxine HCI) concomitantly with MAOIs) monoamine oxidase inhibitors is strictly prohibited, doctors are advised to prescribe one medication after the other medication was stopped for at least 14 days. Nearly every prescription medication, including Effexor (venlafaxine HCI), will have contraindications, where patient suffering from a medical condition, experiencing symptoms, or taking other medications should avoid taking the antidepressant altogether. Within just a couple of years after the generic version of Effexor, venlafaxine HCI, became available the medical marketplace, plaintiffs for filing lawsuits against Wyeth Pharmaceuticals alleging that the company had misrepresented or exaggerated claims on Effexor’s effectiveness and safety for consumers. Even today, plaintiffs are claiming that the drug is dangerous because it produces suicidal ideation and thoughts of self-harm. Scientist and doctors have known for a long time that Effexor can produce violent behavior toward others and to the patient taking the medication. In fact, most SSRIs (serotonin reuptake inhibitors) have been known to produce violent occurrences. However, lawyers have often found it difficult to prove the correlation between violent behavior and taking Effexor (venlafaxine HCI) when presenting evidence in court. Some plaintiffs are claiming that Effexor (venlafaxine HCI) causes birth defects. To date, there are many lawsuits yet to be heard in both federal and state court concerning the correlation between birth defects and taking Effexor (venlafaxine HCI) during pregnancy. December 2014 – Parents of a son born with serious life-threatening heart defects as files a monetary compensation lawsuit against Pfizer, Inc., the manufacturer of the popular antidepressant Effexor medication. The lawsuit was filed in the U.S. District Court for the Eastern District of Pennsylvania. In February 2010, the plaintiffs’ son was born with significant congenital heart problems. Lawsuit documents reveal that the plaintiffs are claiming the mother’s use of antidepressant medication during her pregnancy caused her son’s defects. The Missouri couple is seeking monetary recompense to recover their ongoing medical expenses, nursing costs, additional surgeries, off and on hospitalization, constant treatment, pharmaceutical costs, the need for rehabilitation and all other costs that are unforeseeable in the child’s future. Lawyers working on behalf of the Missouri plaintiffs are also asking for punitive damages to hold Pfizer morally accountable for their failure to warn the public of serious birth defects caused by their dangerous drug. January 2014 – A Minnesota couple has filed suit against Pfizer, claiming the mother’s use of the antidepressant Effexor was linked to her son’s birth defects. The plaintiffs in the case are alleging that Pfizer, Inc. Makers of Effexor (venlafaxine HCI) failed to warn them of the serious side effects of the product including its correlation with birth defects. Lawsuit documents reveal that the suit is based on negligence, failure to warn, and product liability. Lawyers have built the case on behalf of their plaintiffs by stating that the Minnesota mother had been prescribed and took Effexor during her pregnancy. Since childbirth, the newborn required numerous surgeries to repair multiple defects and will likely require additional surgeries in the years ahead. The plaintiffs are suggesting that had the mother known or been made aware of known Effexor side effects on newborns and fetuses, she would have never taken the medication and likely would have chosen alternative methods for treating her depression. The plaintiffs are claiming that Pfizer was aware, or should have been aware, that Effexor (venlafaxine HCI) can impact the health of the fetus by crossing through the placenta. Lawsuit documents reveal that animal testing occurring in the mid-1990s directly linked the development of birth defects with taking Effexor. The Effexor injury case attorneys at the Drug Law Center are currently handling antidepressant lawsuits and optimization claims for victims of Effexor and those who have died because of complications when taking the medication. We accept all medical malpractice, product liability, personal injury, and wrongful death lawsuits on contingency. This means we postpone payment of our legal services and are paid only after we have successfully resolved your case through a negotiated settlement or through a jury trial award. Contact us today to schedule a comprehensive, free initial consultation. Speak with one of our competent personal injury attorneys who specializes in cases just like yours. You are under no obligation to move forward with your case and all information and evidence you provide our law firm is always kept confidential. We can provide various legal remedies while protecting your rights to receive financial compensation from any party who caused you harm. This could include the pharmaceutical manufacturer, the distributor, the supplier, the hospital, doctor’s office, or health care provider.